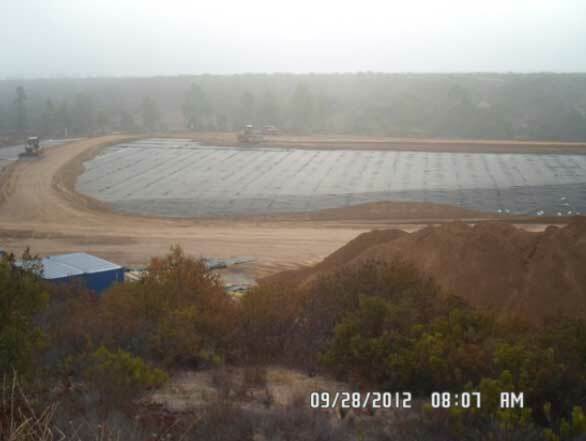 Design & Construction of a Landfill Cap - Noreas Inc.
On behalf of the SDV JV, NOREAS designed and supervised construction of a 6.88-acre engineered landfill cover equivalent to a RCRA cap at the San Clemente Canyon Landfill at MCAS Miramar in San Diego. Work activities included design and construction of a landfill cap, excavation and disposal of landfill waste, installation of permanent erosion control measures, confirmation sampling and analysis of associated areas to reduce the risk of future media exposure. 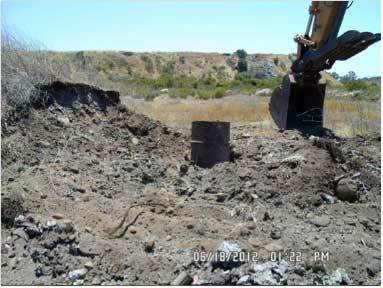 Activities were completed under a Time Critical Removal Action (TCRA) to prevent potential release of landfill contaminants into the adjacent stream bed. This project was considered complex due to administrative time frame, isolated site topography and adjacent watershed, limited site access and construction schedule restrictions, implementation of permanent erosion control features prior to the rainy season, and the presence of waste found in the creek bed area. Landfill cap design incorporated seismic modeling, cover slope stability, and other geotechnical considerations. Monitoring activities were specified for landfill gas with the installation of monitoring wells and lysimeters. Land use controls would limit future development and use, and include site inspection and 5-year reviews.